Are you stuck for gift ideas ? 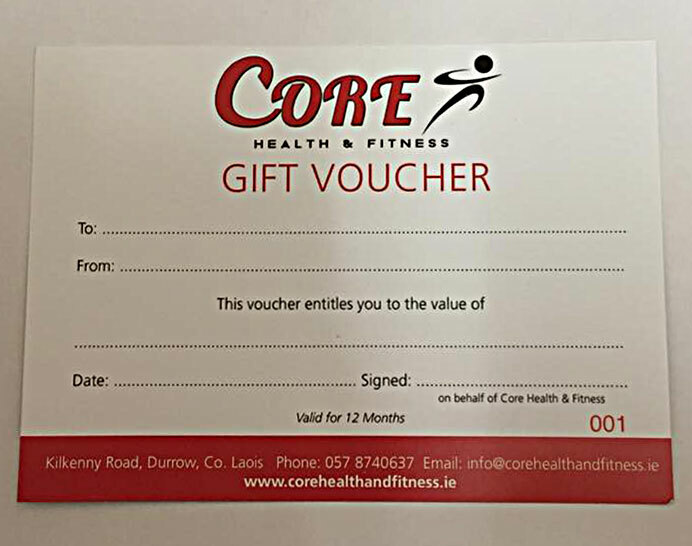 At Core Health & Fitness, Gift Vouchers are now available, and you can also purchase our Session Passes. This is a book of 10 passes, which can be used for gym sessions or fitness classes, or both, for a cost of only €40.